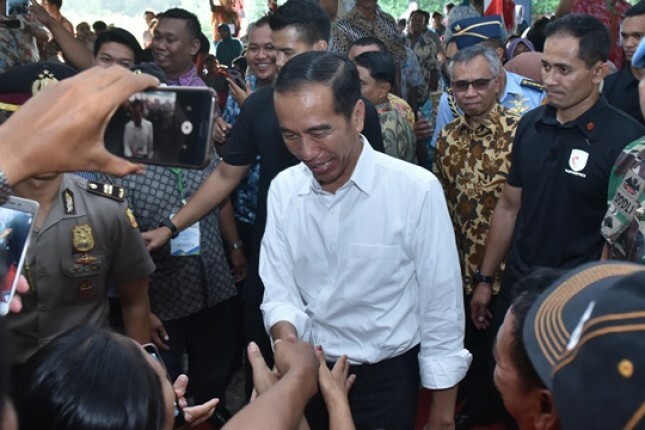 INDUSTRY.co.id - Bogor - President Joko Widodo stated that there are four Indonesian priorities which again become the fourth UN Security Council non-permanent member in the period 2019-2020. Secondly, the Head of State continues, Indonesia wants to strengthen the synergy between regional organizations with the UN Security Council. Third, said Jokowi, Indonesia wants to improve a comprehensive or comprehensive approach in dealing with transnational crime, including terrorism. "And we want to synergize efforts to create peace with the achievement of development agenda 2030," said President. The head of state also advised specifically to the Minister of Foreign Affairs Retno Marsudi to give priority to the issue of Palestine. "The issue of Palestine will be Indonesia's priority in the UN Security Council," he said. The President also requested the Minister of Foreign Affairs in the next six months to prepare well for Indonesia sitting on the UN Security Council, starting January 1, 2019, to come. "This world belief is the responsibility we have to properly engage," the President said.